You are cordially invited to participate in the second meeting on Genome Engineering: The CRISPR-Cas Revolution at Cold Spring Harbor Laboratory. 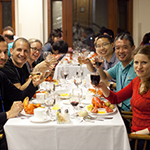 The meeting will begin with dinner and the first session on the evening of Wednesday, August 17, 2016, and will conclude with lunch on Saturday, August 20. 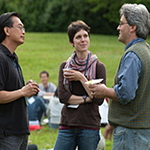 The specific goal for this meeting is to foster fruitful and creative interactions between researchers interested in applying these systems to genome engineering and related advances in a wide variety of organisms, together with scientists studying the basic biology of CRISPR-Cas and related bacterial defense systems. 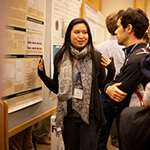 The pre-meeting workshop will focus on technical aspects of genome engineering, including in various model organisms specific sessions led by experts. Partial support provided by Advanced Analytical, Benchling, Editas Medicine and Twist Bioscience. 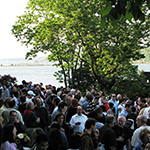 We look forward to seeing you at Cold Spring Harbor Laboratory in August 2016.